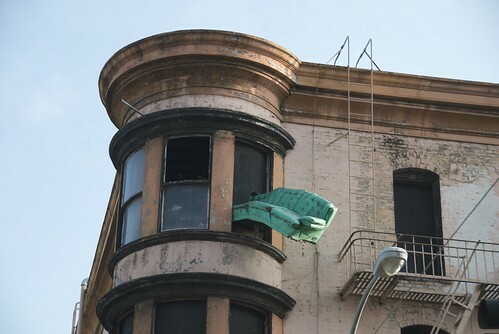 Take a closer look at above building and you will find common house furniture trying to escape from windows or have been thrown out of windows. 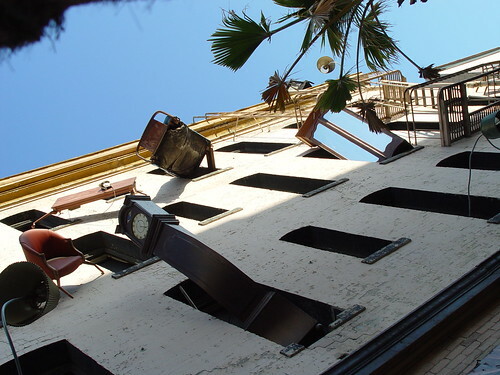 In reality it is Brian Goggin's multi-disciplinary sculptural mural called "Defenestration" on a building located at the corner of 6th and Howard Streets, San Francisco. Inaugurated on On March 9, 1997 over 30 pieces of furniture and home appliances; tables, chairs, lamps, grandfather clocks, a refrigerator, and couches etc are welded and rigged to the two sides of a currently-empty 4-storey building. 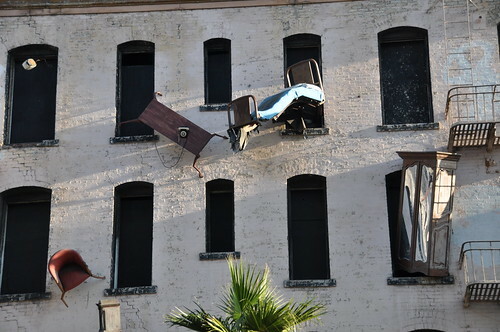 "The concept of "DEFENESTRATION", a word literally meaning "to throw out of a window," is embodied by the both the site and staging of this installation. 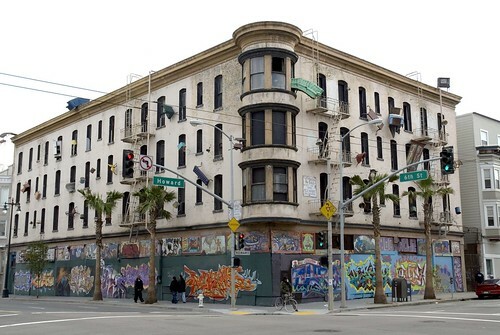 Located at the corner of Sixth and Howard Streets in San Francisco in an abandoned four-story tenement building, the site is part of a neighborhood that historically has faced economic challenge and has often endured the stigma of skid row status. Reflecting the harsh experience of many members of the community, the furniture is also of the streets, cast-off and unappreciated. 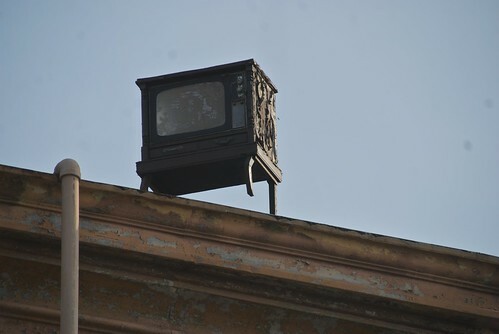 The simple, unpretentious beauty and humanity of these downtrodden objects is reawakened through the action of the piece. 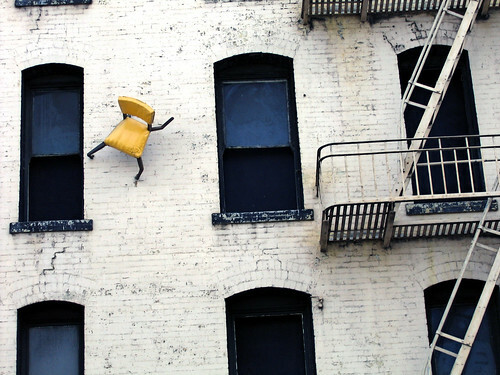 The act of "throwing out" becomes an uplifting gesture of release, inviting reflection on the spirit of the people we live with, the objects we encounter, and the places in which we live."